The Craft Cocktail Party: Delicious Drinks for Every Occasion by Julie Reiner (with Kaitlyn Goalen) is a must-have, beautifully photographed cocktail guide to add to your libation library. Julie Reiner, an award-winning mixologist, is co-owner of the Flatiron Lounge in Manhattan, and the Clover Club in Brooklyn. The book’s theme—the importance of cocktails to add that celebratory touch when people come together to commemorate occasions—was gleaned from the author’s childhood. Ms. Reiner honed her hospitality skills as a young child while helping her parents entertain. Her book dedication reads, “For my mom, who taught me about the art of hospitality and the simple joys of life.” She states her goal in writing this book is to demystify the cocktail. When you hear the term “craft,” think handcrafted or artisanal. Published by Grand Central Life and Style, the cocktail recipes in this book emphasize the importance of fresh and homemade ingredients and are categorized by seasons. Included are the usual holidays of Independence Day, Thanksgiving, and Christmas, along with Cinco de Mayo, Mardi Gras, and Derby Day. The author developed her appreciation of fresh fruit while growing up in Hawaii; she energized her cocktail creativity while bartending in San Francisco; and she acquired her love for the changing seasons while living in New York. With helpful techniques and easy-to-follow procedures for simple syrups, infusions, and garnishes, the book’s target audience is the home entertainer, not the professional. Tools and techniques are addressed in the Getting Started section of the Introduction. This overview of essential bar equipment includes recommended jiggers to measure ounces, preferred shakers and strainers, and appropriate glassware to complement the drink. The technique of “rolling” is suggested for drinks that are more viscous (e.g., Bloody Marys), where stirring does not agitate the liquid enough and shaking aerates the liquid too much. Rolling is accomplished by placing the contents of the drink, including ice, in the serving glass, and then pouring the contents, including ice, into a large mixing tin (shaker). The contents, including ice, are then poured into another metal tin (shaker). This back and forth pouring action between the shakers is repeated five times. Then the drink is poured back into the original serving glass. Other tips include party ideas for holidays and celebrations, directions for a self-serve bar, recipes that are conducive to batching, the correct usage of ice, and how to set a festive mood with décor and music. Each recipe makes one serving, with the exception of recipes for punches or batched cocktails. I found the following recipes intriguing and refreshing, and agree that Ms. Reiner has accomplished her goal of demystifying the cocktail. The Sloe & Low cocktail is made with traditional gin, sloe gin (a liqueur made with gin and sloe, a blackthorn stone fruit), and a delicious fresh raspberry and blackberry simple syrup. Shake both gins, maraschino liqueur, lemon juice, and syrup with cubed ice until chilled. Strain into a rocks glass filled with crushed ice. 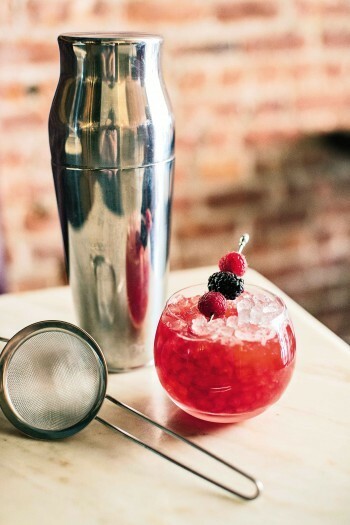 To garnish, spear the berries on a pick and lay it across the rim of the glass. Both Flatiron Lounge and Clover Club celebrate the anniversary of “Repeal Day,” the end of Prohibition, which occurred on December 5, 1933. 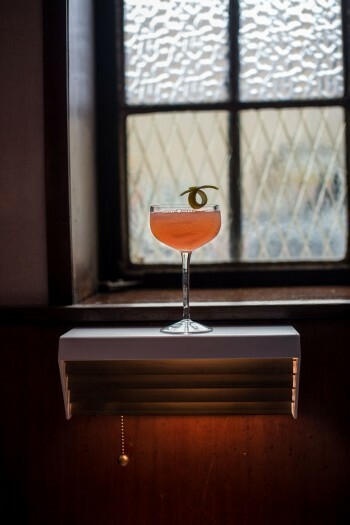 The following eponymous cocktail, is in honor of the name given to those who patronized speakeasies and protested the Eighteenth Amendment to the U.S. Constitution (prohibiting the manufacture and sale of alcohol). Shake the rye, vermouth, lemon juice, grenadine, and bitters with ice until chilled. Strain into a chilled coupe glass and garnish with the lemon twist. Recipes are excerpted from the book THE CRAFT COCKTAIL PARTY by Julie Reiner with Kaitlyn Goalen. © 2015 by Julie Reiner. Reprinted by permission of Grand Central Life and Style. All rights reserved.